What better time to start a new book than a new season! 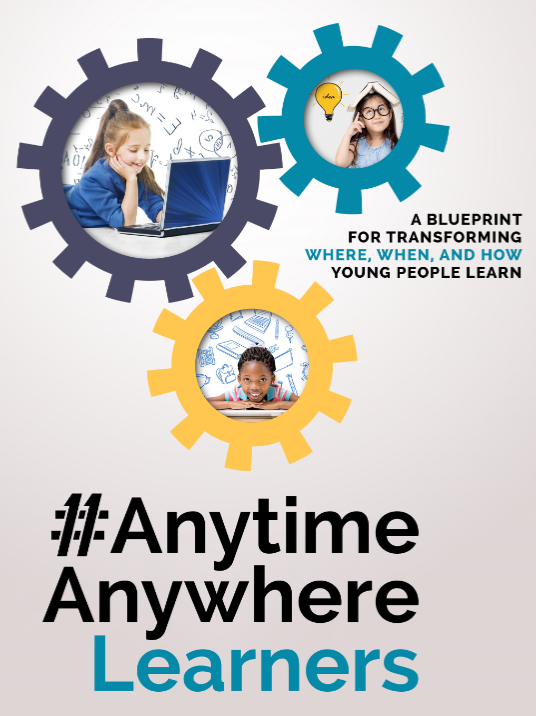 Once again, we at AALF are happy to make our book, #AnytimeAnywhereLearners, a Blueprint for Transforming Where, When, and How Young People Learn, available at no cost to both members of AALF and any school that may benefit from this resource. Are you new to 1:1 and not sure where to start or what questions to ask? Or have you had a 1:1 initiative for 2, 3, or more years? Are you achieving your 1:1 vision and goals? Do your teachers have a shared understanding of what these are? Are your learners using their 1:1 devices to learn in ways they could not do before? Or are they using their laptops and tablets mainly for research – or not using them at all? #AnytimeAnywhereLearners is not only the best guide you can find for schools and districts starting a 1:1 initiative, but it’s also an INVALUABLE TOOL for schools that are already 1:1 and recognize the need to revitalize their initiatives. It will help you ask the questions you need to ask to ensure your students are getting the learning benefits you envisioned. Click here during the promotion and get your FREE BOOK. *This offer is available on Amazon from 12:00am PDT September 22nd until 11:59pm PDT September 23rd. *This offer is available on Amazon from 12:00am PDT June 1st until 11:59pm PDT June 2nd. Bellevue, WA – January 27, 2016 – The Anytime Anywhere Learning Foundation (AALF) today announces a new book focused on helping education leaders transform where, when, and how young people learn as schools move to technology-rich learning environments. Written by industry veterans Bruce Dixon and Susan Einhorn – whose efforts have helped pioneer 1:1 learning worldwide – #AnytimeAnywhereLearners is published by AALF, a non-profit organization dedicated to supporting schools around the world. The book is available on Amazon now. Einhorn, AALF’s Executive Director, has worked in education for more than 30 years. As the former president of Logo Computer Systems Inc. (LCSI), she worked for many years with renowned educator and learning technology pioneer Seymour Papert. This and her experiences in designing and developing some of the first coding programs for children and a number of other constructivist products and books for students and teachers led to her work with AALF, where she develops programs and resources to support 1:1 schools around the world. Bruce Dixon, co-founder of AALF, has worked as a strategic advisor to governments, policymakers, and school leaders on six continents. His insights have enabled education leaders around the world to better manage large-scale, 1:1 personal technology deployments, ensuring outcomes that drive both school improvement and ultimately systemic transformation. He has keynoted for UNESCO, the OECD and has been recognized by the National School Boards Association and the Smithsonian for his contribution to education and the use of technology for learning. #AnytimeAnywhereLearners is available now at Amazon for $49.99. For more information, visit www.anytimeanywherelearners.com and follow AALF on Twitter at @AALF. The goal of the Anytime Anywhere Learning Foundation (AALF) is to ensure that all children have access to unlimited opportunities to learn anytime and anywhere and that they have the tools that make this possible. AALF is a 501(c)3 non-profit organization. (c) Anytime Anywhere Learning Foundation, 2015-2016.